Previous PostLongevity: Lifespan, Healthspan and Swimming Underwater At Age 98Next PostNutella: Healthy and Natural Spread or Highly Processed, Slickly Marketed Junk Food? I find that monitoring my blood pressure can be problematic in the midst of PVCs. If one of those forceful follow-up beats occurs as the cuff is deflating, it can register as a quite high systolic anomaly. I believe it’s been shown in flip-floppers that longer monitoring than a holter allows for (such as the two-week Zio Patch) finds more occasional and possibly consequential arrhythmias such as brief atrial fibrillation runs. If you look at continuous pulse pressure monitors you will definitely see a drop in the systolic blood pressure with the PVC and an increase in the systolic BP on the beat afterwards (post-extrasystolic potentiation is the medical term). Depending on the monitoring technique this could give you artifactually high systolics and artifactually low diastolics. I don’t know if this has been systematically studied. I purposefully avoided talking about longer term monitoring in this post but if time permits will talk about monitors like the Zio (which I am using a lot now) which i think are excellent for documenting transient and asymptomatic atrial fibrillation. I also purposefully avoided talking about the little brother of PVCS, the premature atrial contraction or PAC. PACs are very common in normals, usually asymptomatic and almost always benign. They are more associated with lung disease than PVCs. Whether they presage afib is not clear. Excellent read for the layman. I look Forward to more. I’m an atrialflutter Patient and wondered about this for sure. 😊 thanks so much for helping me to Understand this! Many years ago I suffered from very noticeable symptoms of PVCs for a few years, greatly affecting my wellbeing. They were brought on by a trauma followed by lack of sleep and stress and interestingly, made worse by foods with sulphur dioxide. Fortunately after years of annoyance, they did go away when a combination of reassurance from a cardiologist, stress management, a better unprocessed food diet supplemented with magnesium (mine was in the low normal range) and B12. I had looked into ablation but as a last resort, luckily didn’t need it. Caffeine had no effect either way, and anxiety made it much worse as you describe. Thanks for your comments.I’ll discuss B 12, magnesium, sleep, diet and ablation in a follow up post. I also suffer from PVC’s and have good luck in minimizing them. I take a powdered form of L-Arginine and a magnesium vitamin. This combination seems to keep them at bay. My research has indicated that most men over 50 have a shortage of Magnesium, while the L-Arginine adds NO (Nitric Oxide) to the blood vessels. Thanks for your comments. I’ll talk about magnesium and L-arginine in my second post on treatment beyond reassurance and caffeine removal. I am unaware of any data supporting either one of these. I enjoyed reading your post. I have been looking all over the internet to help ease my stress/anxiety from my Pvcs. Internet searching can be very good… or verrry bad for anxiety. I am a 32 year old man, healthy and active, and have been dealing with frequent PVCs for the past 6 months. I would first get them after drinking some form of caffeine like coffee or a coke. I would only feel a flutter or 2 for a few minutes..then they would leave. I stopped drinking caffeine for good and I didn’t have and episode for another 6 months or so. This past Christmas, I accidentally had a whiskey drink with a coca cola (not thinking about the caffeine). The next day I had multiple pvcs which increased my anxiety(which then seemed to make the pvcs even worse). This became a daily thing after that. Almost to the point that I had to accept it as my normal heart rhythm. Day after drinking alcohol, now seems to make them more noticeable. Electrolyte blood tests came back normal. I don’t have any side effects from them. I feel 100% normal. I got the EKG done and they said that they definitely are PVCs. But everything is normal between them. I did a 48 hour Holter, and it came back with 36,000 beats in 24 hours. That number has scared the wits out of me. They were normal individual PVCs with no dangerous signs of v-tach. I had an ECHO done and everything came back normal. I’ve read that some docs say tens of thousands of pvcs are ok and no need to stress. I’ve read that 20% or more pvcs can lead to more serious problems like cardiomyopathy. My doctor prescribed me 20 mg nadolol and said due to the high amount, I could eventually get cardiomyopathy if not treated. I wasnt thrilled on how it made me feel after a day (sluggish, kinda heavy in chest area and my home blood pressure test said I had 110/40. Although I didn’t feel faint or dizzy) so i didnt resume taking it. How many years does it take to have the effects of cardiomyopathy from palpitations? Right now I am trying to figure out how to lessen the pvc load naturally through stress and anxiety reduction. Is this possible? I have been known to be a “worry wart” so to speak..and have had hyperhidrosis for years. Almost like an unconscious anxiety that has crept up on me to cause pvcs. I almost feel that just being prescribed a light anti-anxiety might do wonders. I just dont know. I am thinking about buying my own Holter monitor to see what works and what doesnt. If you have any advice, I would greatly appreciate it. Thank you! Can you please refer me to your article for treatment for benign pvc’s as i am suffering from them? I am having a very hard time mentally functioning with them…they cause to much anxiety and i am a very physical person that teaches group fitness classes. They are disrupting everthing i do. Thank you Dr. Anthony. I’ve done all the right things. ECG…Echo…nuclear Stress Tesst, Cardiac MRI,….even a EPS. I know I am healthy and my heart is healthy, I was sure and am still sure it’s a conduction issue. And they agree, they said a smaill area in the Ventricles that are overstimulated or misfire. But none of the conditions displayed themselves during any of the diagnostic tests. Which I found very discouraging because I was hoping if the Dr. saw something durning the electrophysiology test he could ablate it……but…nothing. On any of them…All test clean, which is good news, and all the Dr.s said my heart is healthy and strong and I have no heart disease, which, I didn’t think I did. Yet, still this sinking feeling everytime these things occur out of nowhere with no rhymme or reason. And needless to say, diffinitly increases anxiety. I can not see myself going forward with no light at the end of the tunnel. By brain just doesn’t work that way. I want to know why they are misfiring and where….and resolve the issue. They also implanted me with a loop monitor….gives them 24/7 readings. Hopefully they’ll be able to pinpoint it at some point and we can move forward. I am a dance and fitness instructor, so as you can imagine it’s affecting everything I do. Is there anything you can think of that I haven’t touched on of that may be another avenue to explore? I also questioned changes in my estrogen and progesterone levels as I started to go thru perimenopause….anything you can think of would be greatly appreciated. AT the end of PVC treatment post I mentioned that in very rare patients we consider either treatment with anti arrhythmic drugs (flecainide, sotalol, etc.) or ablation of the PVC site. I typically don’t recommend this as I fear the treatment for a benign condition can create more problems than it solves. If you have seen an EP specialist I suspect they have decided against these approaches. And, upon reading your post again it seems that you are indicating that with symptoms they are not finding any abnormal rhythm or PVC. In this case, the cause of your symptoms is likely not cardiac. I’ve had frequent PVC’s since my early teens. I’m in my mid-30’s now, and on a bad day they will still freak me out. It’s relentless. On bad days I can feel my heart flutter over 20 times a day. Particular bad episodes cause me to become light headed during the 1-second flutter, which instantly resolves once the heart follows it up with a pounding beat. Have had several EKG’s etc done, they all showed correctly. Once ended up on the ER because I was convinced I was having a heart attack. They prescribed me a heart monitor about 1.5 years ago, to wear for 30 days straight that had a button I had to push every time I felt some weirdness. The results showed benign PVC’s. A lot of them, but still benign. It really helped to put me at ease for the past year, but this February has been the worst month I’ve ever had. The PVC’s are just non-stop and even though I try to ignore them, it’s hard and it’s putting me on edge again. I hit the gym 3-4 times a week, and the good news is that I have never noticed any weird rhythms when I’m exercising. However, my PVC’s are generally really bad after I come home from the gym and sit down on the sofa. Especially if I sit in a reclined position, they’ll be constant. So, lately I’ve been trying to avoid positions that make them worse. If I sit up straight, pace around (or weirdly, lay on my side) they usually disappear. Isn’t that odd? Anyway, I’d wish this all would just stop because I’m sick of this, but I suppose in the grand scheme of things, having pvc’s is just a very minor thing. Still healthy otherwise. That’s what I keep telling myself. It’s good that you’ve precisely identified the cause of the palpitations and have confirmed that they are benign. I have not had a patient describe to me that their PVCs are specifically worse after exercise or that the reclined sitting position worsens them. It is possible that you are more aware of them at those times or that something changes in your body hemodynamics to make them have more of an effect. I think your attitude is the right one, you could have much worse problems and these are benign although troubling. I believe I’ve mentioned in subsequent posts the treatments you could consider . I find it a bit patronizing that the physician does not believe the testimony of the patient’s experience of his own body. What’s to be lost by taking the patient’s story at face value and going with it? To be gained: possible deeper insight. Mrc’s experience exactly reflects my own. I, myself, am tired of being told it ain’t so. Further consideration: PVCs beyond a certain “benign” point are associated with cardiomyopathy. Causal? I think you have misinterpreted my comments. When I say I have not had a patient describe something it does not mean I don’t believe the symptoms that are being currently described to me. I welcome the description of new symptoms and circumstances triggering those symptoms: they enter my database for future reference. It is why I learn something every day from listening to patients. Hi Marc you dont even know how much I relate to you. I have similar situation, but my PVC sometimes kick in also when exercising – needles to say I’m freaked out then. I’ve been to ER with this once too thinking it’s a heart attack. Usually when I’m around people I know or in presence of doctor they dont happen, which probably amplified the point of this being a psychological issue than medical. It’s hard to live with that but thanks to this excellent website and explanations I’ll hope to get bit more reassurance and will try some if mentioned supplements. Stay strong! Thank you for your blog – it was a fun find today! I did not find your comments to MRC patronizing either, and read it as compassionate and responsive. However, I do believe there is s a growing body of research to support some people’s experience of PVC’s as sometimes ‘positional’ -(including my own) that has to do with the function of the vagus nerve and it’s role in cardiac activity. There are many times I’ve experienced non-stop PVC’s when lying on a certain side, or even on my back, that immediately resolved by changing position, stretching (especially the neck) etc. I’m curious about duration of PVC’s – mine have always (30+ years) been a second or two at a time, but in the past few months I’ve experienced an ‘episode’ that will last 5-10 seconds of fluttering. 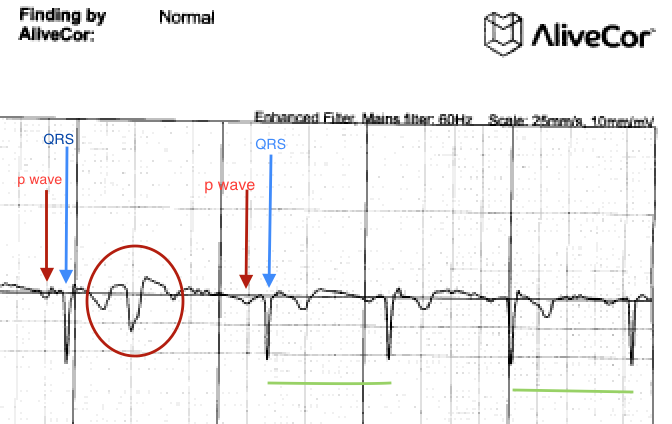 I’m worried that PVC’s can develop into episodes of Afib. Any chance that’s a reasonable assumption? Thanks for the information. . I came across your site in my relentless quest to find a solution for these darn PVCS. I’m 49 now and started getting them when I was 46. I’ve made two ER trips, the first time they told me it was stress and they were benign after looking at my EKG. I was given a 48 hour Holter Monitor and the results came back normal with PVCS. No other tests were done. They gave me a prescription of Ativan for stress. I took it only a few times. I also started taking 250 mg of magnesium daily and it seemed to help. After a few months they seemed to disappear. I didn’t notice any symptoms for some time. Fast forward to November of last year and I had another episode that seemed even worse. This time I went to a different ER. They ordered the EKG and this time it showed a partial right bundle branch blockage, but nothing else. Then a 72 hour Holter Monitor. I met with an Electrophysiologist who read me the results and he seemed to laugh it off. He said I was having a few thousand PVCs but they were benign and not to worry about them. MY GP says the same thing. Neither wanted to prescribe any medication other than taking the Ativan if I’m having a panic attack over them. Things cleared up again. Fast forward to this past week and they’re back again in full force. I think this time they were triggered by a weekend of too much excess drinking. Now I can’t shake them again. It’s been a little over a week and I know I’m getting thousands a day. There is no chest pain, dizziness, etc. but they’re scary as heck. I don’t want to do the ER thing again as I’m sure what they’ll say, not to mention the cost. What can I do to limit the frequency and intensity of these things? I’m probably getting 5 or 6 a minute most of the day. I’ve certainly learned overdoing the alcohol is a no no. But what can I do to hit the reset button again, so to speak? Any idea how long this bad attack will last before I get some relief again? As I wrote in that post I do recommend some assessment for structural heart disease at least initially and a stress echo is usually the best approach for that. Also, you should have your potassium, thyroid and magnesium levels evaluated. Excessive alcohol can dehydrate you and deplete electrolytes thus triggering arrhythmias, so definitely make sure you are getting plenty of potassium and magnesium. If you have any methods for relieving stress you should try them as stress initiates a feedback loop of catecholamine stimulation and more PVCs. Deep breathing, meditation, yoga, music, etc. work for some people. If they persist after this, you could consider taking a beta-blocker either as needed or prn. Thanks for the advice. I did fail to mention in the original post that all my recent blood work came back in the normal range for all of the things you inquired about. In fact, the doctors have all said that 99% of the population would love to have my blood work readings. I have an appointment with my GP in early July and I’ll ask about the test you mentioned if things have not gotten better. It’s just frustrating to feel normal for a few months and then out of the blue these things come back with a vengeance. Maybe they’re always there and I just don’t notice them until my nerves kick in and make them worse. Hi, I’m 38 years old and have been experiencing pvcs for years . They started in my early twenties. I’ve had numerous holter monitors and echocardiograms done all showing benign pvcs per the cardiologist. I had my son almost 6 years ago and during the pregnancy I had little to no pvcs but about 5 months postpartum they returned pretty severe where i felt them like every other beat. I was given atenolol to take as needed with no luck and they eventually went away. After that I would get a few here and there which I can handle. Fast forward to present , i just had a baby 6 weeks ago and about 2 weeks postpartum they started again. They seem to come and go throughout day and they feel like every other beat. Sometimes lasting up to 30 mins.They eventually stop but my.anxiety shoots up and they get worse. I just had a 24 monitor after contacting my cardiologist and they said I was having mild to moderate pvcs but nothing consecutive. He wants to repeat my echo which I’m having done this week. I had an echo during my pregnancy and it was normal. I have 12.5 metoprolol to take if I need to. I have taken a few times and it really does work within 45 mins. I don’t want to take medicine especially if I know their benign. My whole fear is that it won’t stop and I’ll pass out or something. Having a young baby to take care of along with this makes it even worse. I worry about my health constantly and I take effexor for anxiety which I just started a few weeks ago. Have yet to have my thyroid levels checked but have an upcoming well visit with my pcp and he does a ton of labs. Even does labs for the heart through Cleveland heart lab? He checks myeloperoxidase which my last level a year ago was in low risk category. Do you think its hormone related and that’s why the pvcs are back and in your opinion should I have a stress echo instead of regular echo? I did place a call into my heart doctor to see what he thinks but haven’t heard back. I’m a nurse and you would think I wouldn’t stress so much about this but it’s very scary . I think it highly likely the PVCS are hormonal related. Typically, I do stress echo which allows one to see what happens with the PVCS during stress. Benign PVCS generally don’t occur at peak stress on the treadmill. I’m having this PVC problem. I have been told repeatedly it’s anxiety. I retort with it’s added anxiety. My anxiety presents with butterflies in stomach and that nervous shaking, however these palpitations are random. I could be doing something as simple as feeding my dogs and experience palpations. I also have had the testing done and my DR noted very few missed beats. No diagnosis from cardiologist. Everything else was normal. I told the cardiologist I am now experiencing a pinching sensation above my left breast area and a slight squeezing when these palpitations occur. 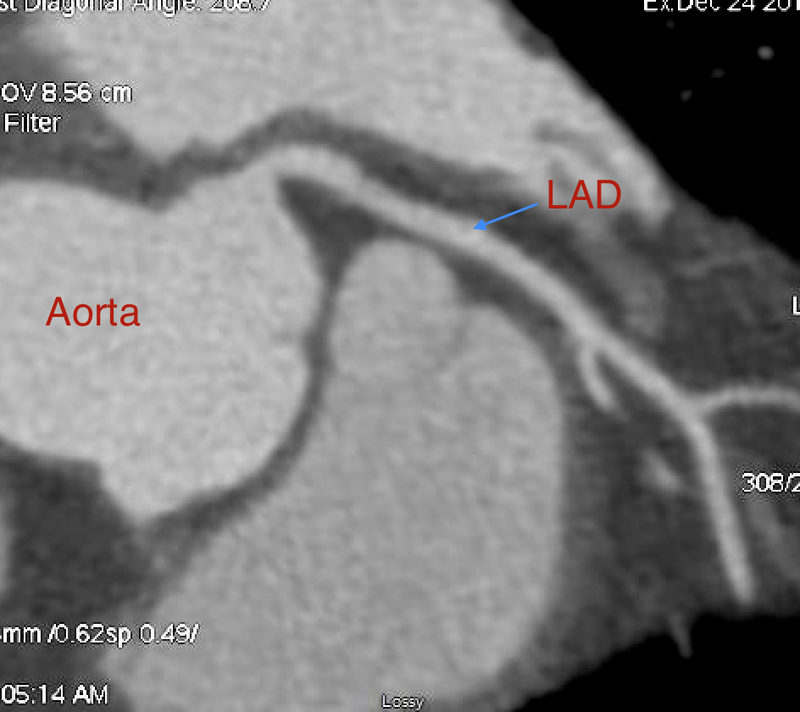 The cardiologist didn’t saying anything about it and in fact did not note it. I am young 37 yr. Both parents suffered heart attacks in mid 60’s one survived the other did not and we are all smokers. My question is, should I go for a second opinion or do I really have nothing to worry about seeing as how I feel the GP and cardiologist are basing this from age and not my symptoms? I’ve been meaning to write a post on the importance of getting second opinions in dentistry, cardiology and really anything. There is no down side to getting a second opinion. So, definitely go for it! An aspect of getting second opinions that needs looking at is the general run of insurance coverage for it. We’re talking here about specialist second opinion fees. Not insubstantial for your average health care seeker. Coverage varies. Some insurances (I know!) will cover the opinion nicely, but, even if that opinion is more appropriate to the case in question, that insurance may well not cover treatment by that second opinionater! What does one do in such a case? I can’t answer in all cases because what insurance companies cover varies seemingly by the minute. My own experience is that I have never encountered difficulty being reimbursed for rendering a second opinion or in getting my recommended treatment reimbursed. To clarify: I would have preferred the second physician along with his opinion. Which makes me wonder… is there a professional ethical reason to not take on the current physician’s patient? This is interesting. Who is writing it?